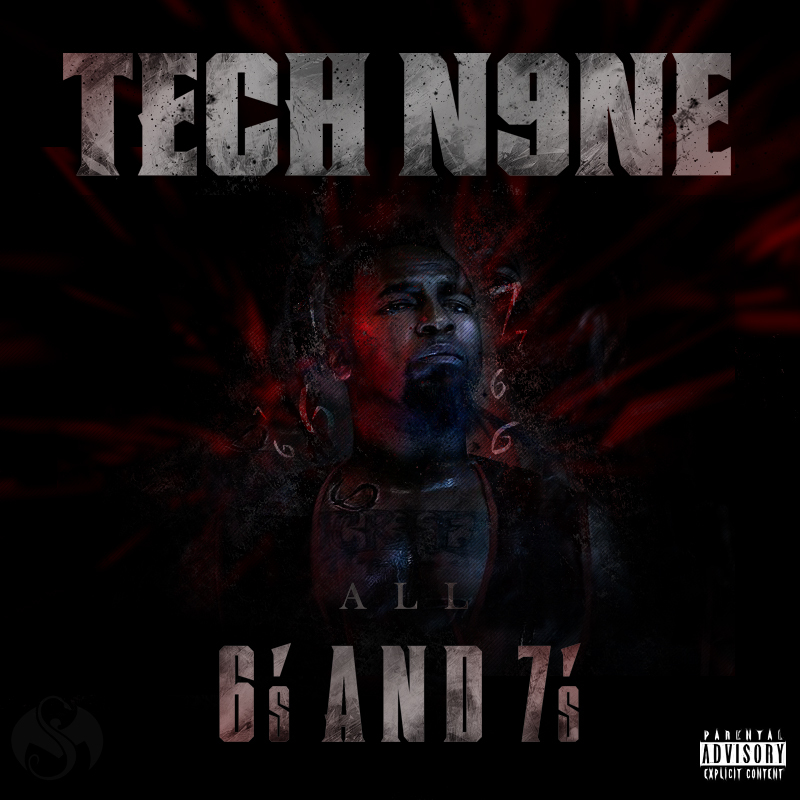 Tech N9ne's latest release All 6's and 7's his biggest release to date, lives up to the hype. The 24 track album and 7 bonus tracks, will have your ears attention all summer. The guest features and production definitely show how the music industry is finally paying attention to the independent king. This album all the way through is some of his best work and shows why he is truly one of the best rappers in the industry. After having a week to get a listen, here is my top three songs at the moment. For some reason "The Boogieman" is my favorite at the moment. I have always liked the dark beats and J.U.S.T.I.C.E. League did a terrific job on the production on this song. The lead song off the album "He's a Mental Giant" gets better after every listen. Tech has always been humble and never been cocky on the mic. This song Tech tells you why he is the giant you need to pay attention to. "Delusional" is instantly a favorite after the first listen. Any hip hop fan should and will enjoy this song. There are so many great tracks on this album, it was hard to pick three tracks that stood out to me. "Worldwide Choppers," "F*** Food," and "Am I a Psycho?" featured big hip hop names and each one came into Tech's world. None of the collaborations felt out of element. The Lil Wayne and T-Pain featured song "F*** Food" is better than I expected. Wayne and T-Pain did their thing and Tech ripped as usual in this highly vulgar song. I think it was the perfect song to have Wayne and T-Pain on, where they can stay in their element. I am looking forward to hear more from Tech and Wayne as he is slated to appear on The Carter IV. There is only one track I skip from time to time and that is "Pornographic." I can deal with Tech's part and E-40's, but Snoop Dogg maybe gave his worst verse of his career. I do not expect great lyrics from Snoop these days, but his verse is terrible. That is my only complaint on the album. Overall the album All 6's and 7's is must have for any hip hop fan. After listening through the album it will leave you wondering is the mainstream finally going Tech N9ne? Let me know what you think and post your favorite tracks on the album. All 6's and 7's ...In Stores Now!